I must have circles on my mind these days. They seem to be my inspiration. This is my son, Samuel, giving high fives to his opponents at a soccer game. There's nothing cuter than watching a bunch of 3 1/2 and 4 year olds play a game of soccer! I used up some old scraps of K&Co, Pink Paislee, and Scenic Route (I miss them!) for this layout. The background paper is also K&Co. I used adhesive foam on some of the circles and stars for added dimension. I cut an 8 X 10 photo in the shape of a circle for this layout. I really love the look of a larger photo on my pages. This is a picture of my parents and my two boys on Easter Sunday. 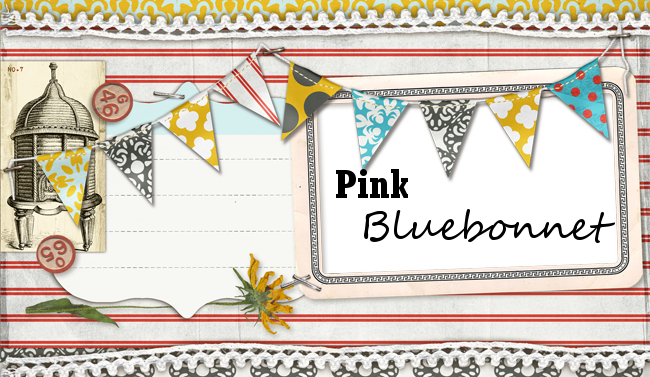 I just love the little images that I cut out from the My Little Shoebox patterned paper. The polka dotted round paper is an older sheet of KI Memories. Cardstock is Bazzill. Jack definitely has these words mastered. I have really enjoyed working with Sassafras Lass papers lately. They are becoming some of my favorites for sure! The fun and flirty colors and patterns work well with my boys and their personalities. Supplies Used: Sassafras Lass patterned papers, American Crafts chipboard stickers,Prima flowers, miscellaneous buttons. 3 Favorite Words was actually a "lift" of this layout that I created about a year ago. Sometimes I do manage to inspire myself. :) I do like the effect of a stitched border. Thanks for looking, and happy scrappin'!